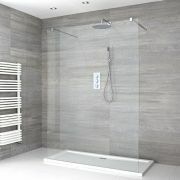 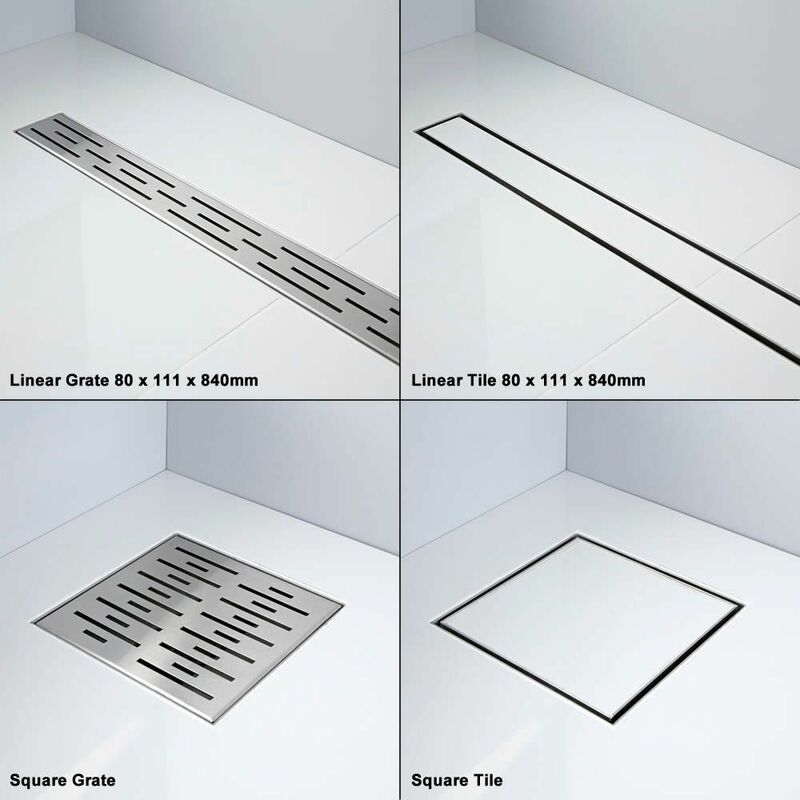 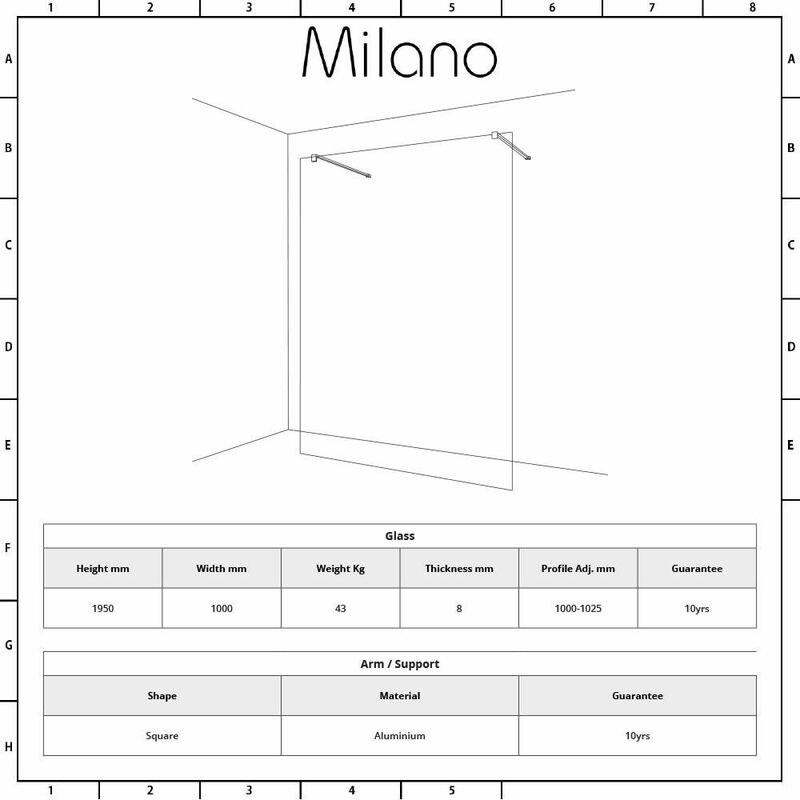 Smarten up your bathroom and create a designer look with the Milano wetroom glass panel and drain. 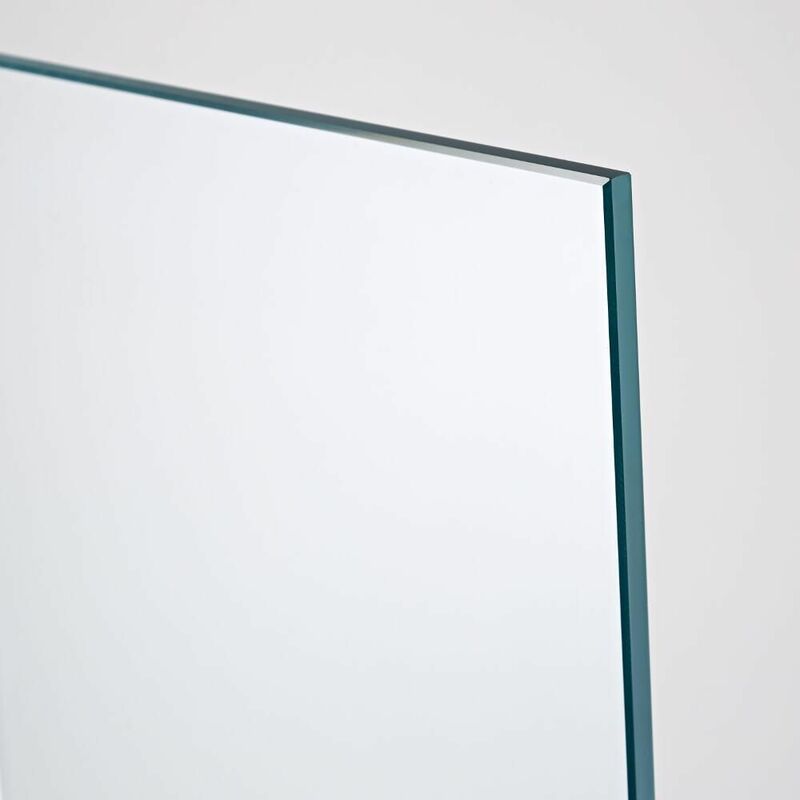 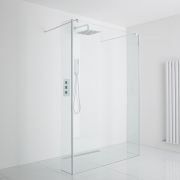 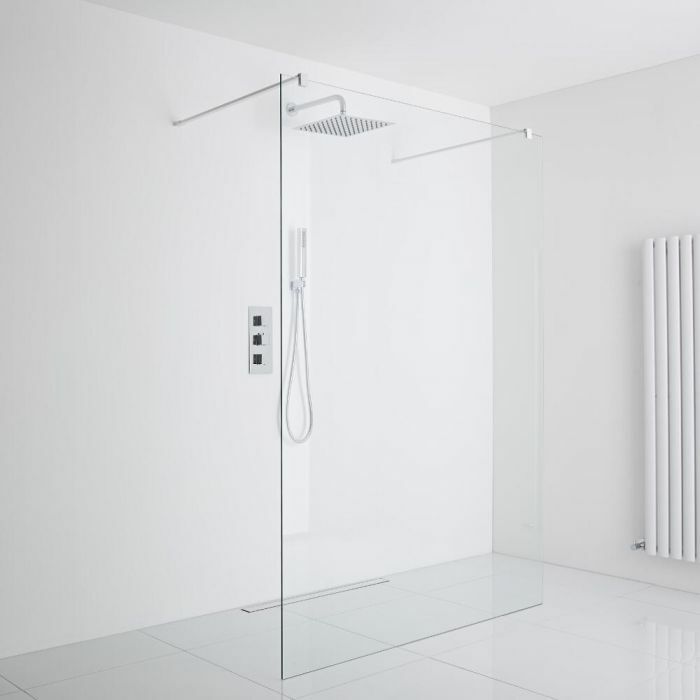 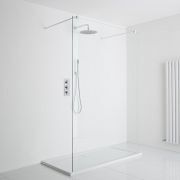 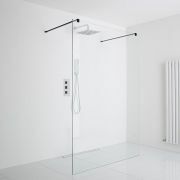 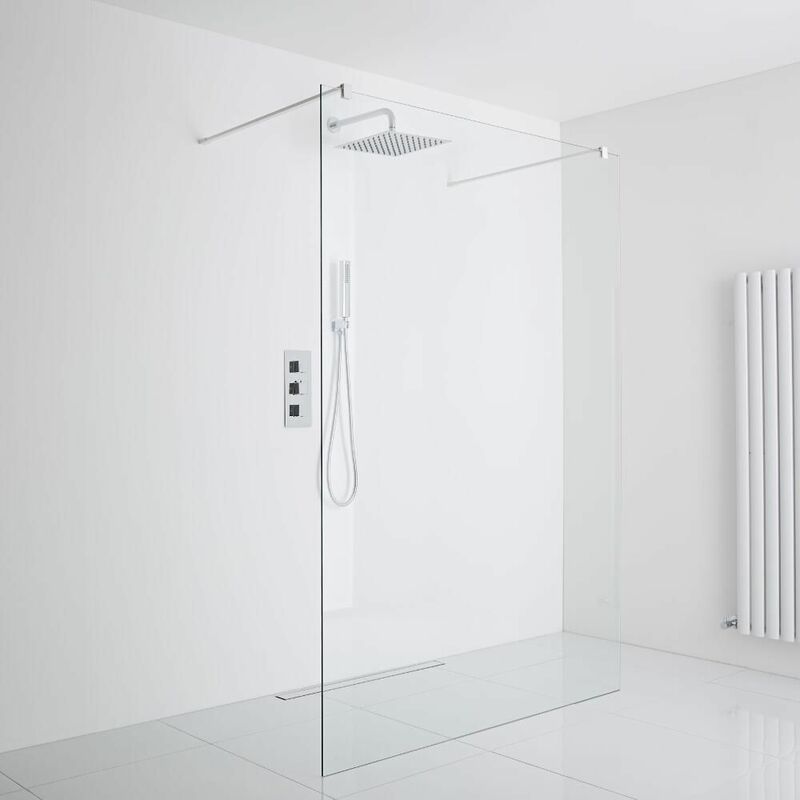 Providing easy access in and out of the shower, the glass panel features a white profile and 8mm toughened glass with an easy clean protective coating. 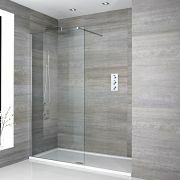 The 1000mm glass panel has a height of 1950mm to catch more splashes. 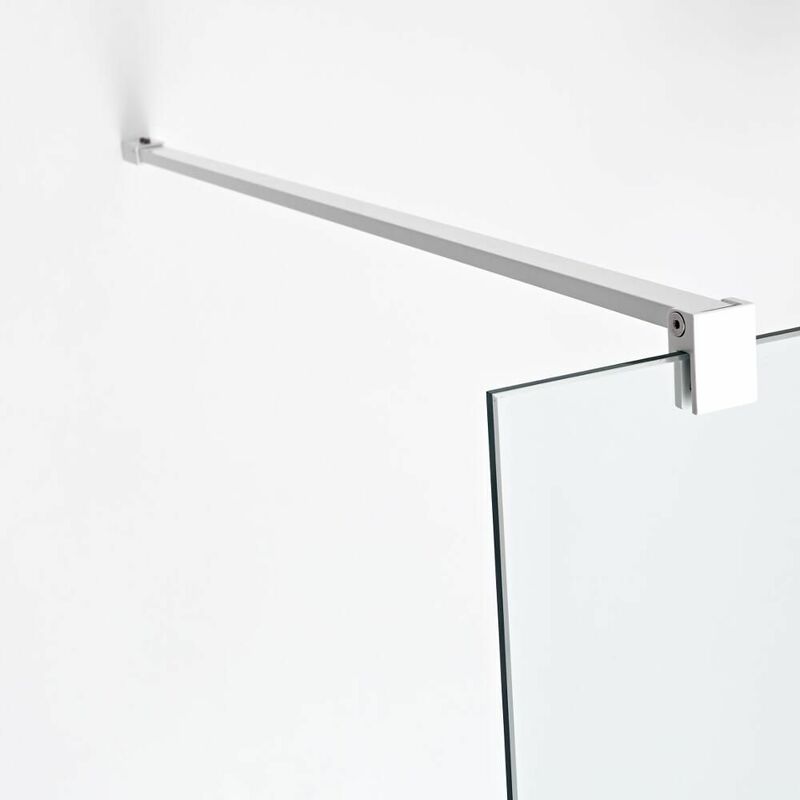 Two white support arms are supplied.